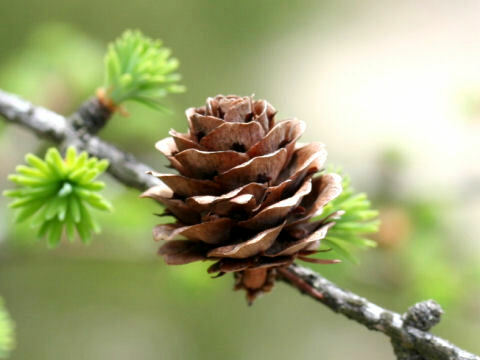 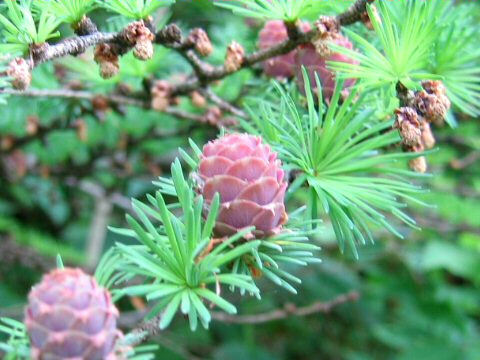 The genus Larix belongs to the Pinaceae (the Pine family), and about 10 species are distrubuted worldwidely. 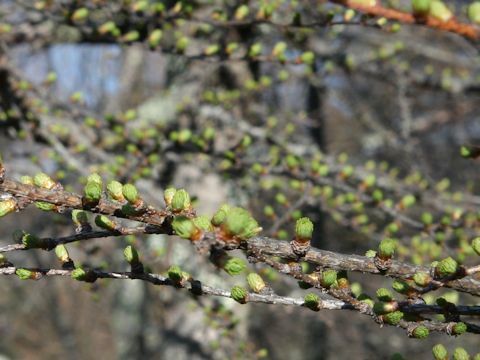 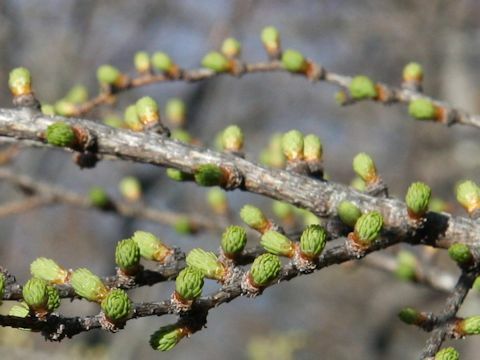 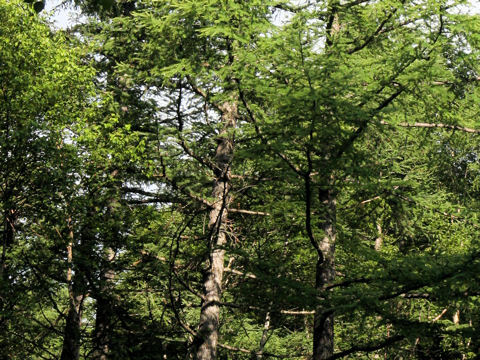 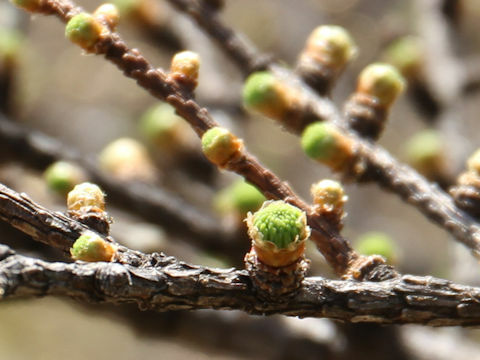 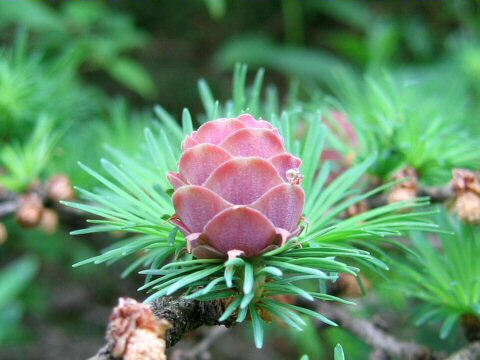 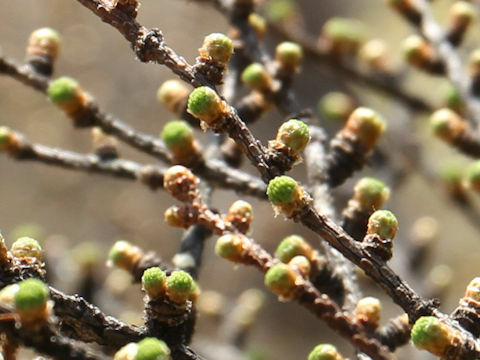 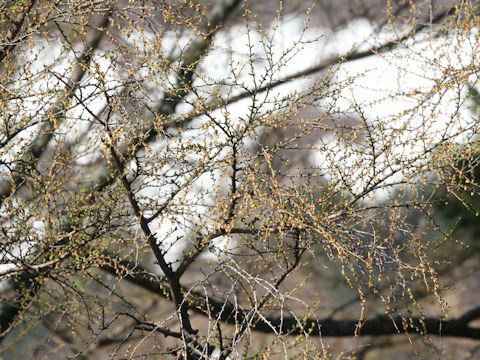 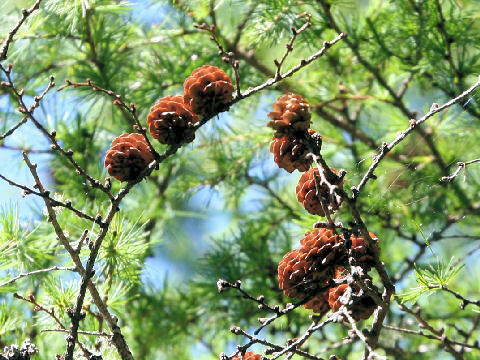 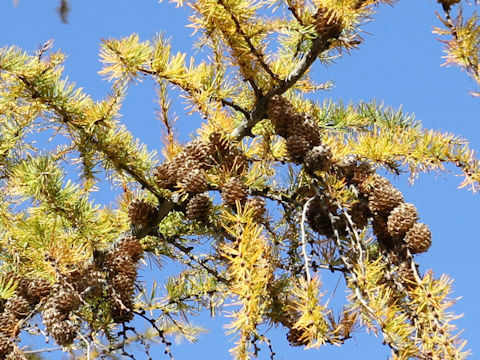 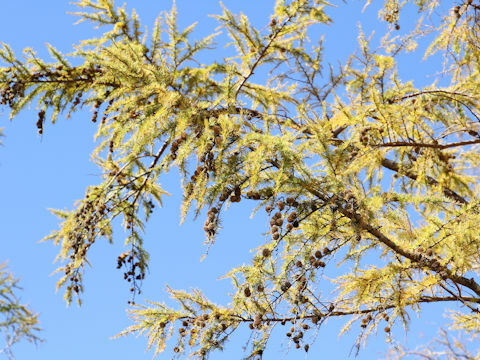 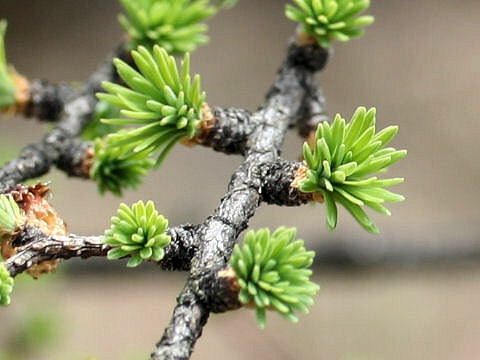 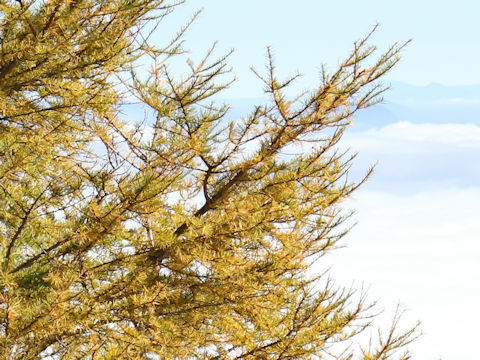 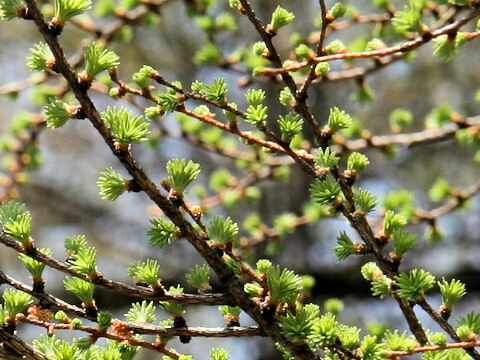 Japanese larch (Larix kaempferi) is native southward from Miyagi prefecture to Chubu district of Honshu, Japan. 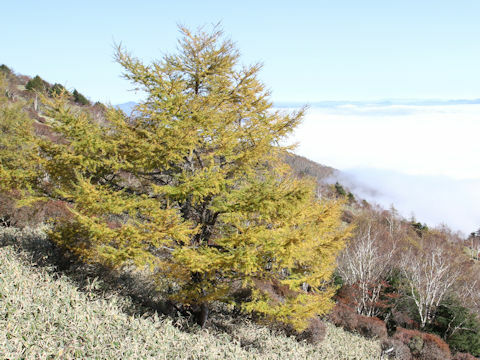 This tree grows in mountains 1000-2000 m elevation and can reach about 30 m in height. 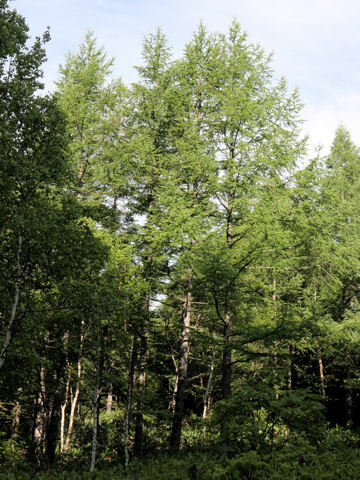 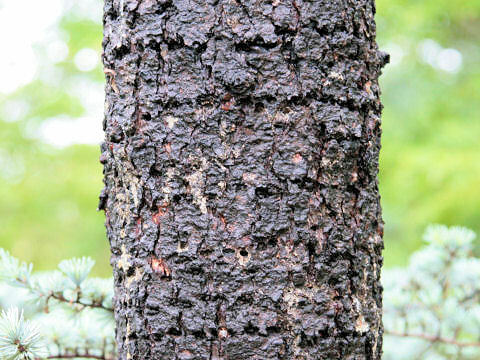 It has cold tolerance and fast growing, so it has been forested in Hokkaido and Tohoku district of Honshu. 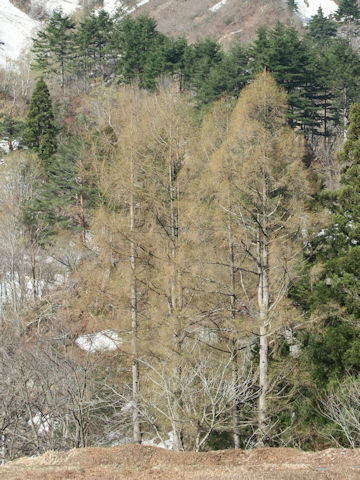 The leaves are linear and turn yellow, defoliate in winter. 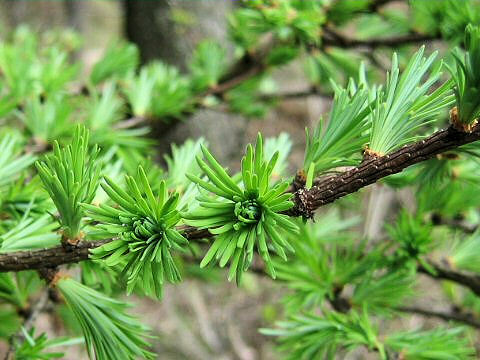 The Japanese name "Kara-matsu" (Tang pine - literally translated) is derived that the leaf formation resembles the pine's depicted Tang dynasty Chinese painting. 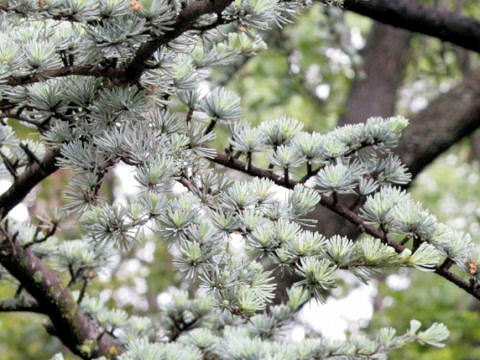 The bellow 2 photos are a blue-green in leaved cultivar.